Unusual Insects and Animals With Crazy Colors (11 Pics). Watch these Amazing Animals with Amazing Colors. Its really Incredible. 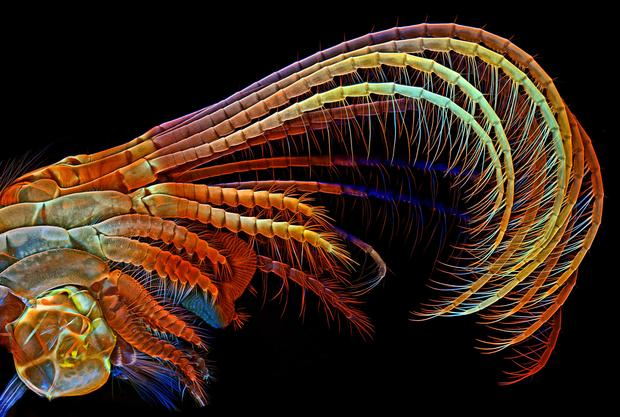 10 Award-Winning Microscope Images That are Mind Blowing. Nature is Amazing. Do you know that even the microscopic world is full of wonder. Watch these Amazing colorful Images from our firend from Microscopic universe. They are very beautiful and makes science as an art. The Olympus BioScapes Digital Imaging Competition honors outstanding images and videos of life science subjects “shot” with a light microscope. 10 are chosen as winners. We Bring you the Top Ten Microscope Images from BioScapes. The pesky white crusts that collect on boat hulls conceal remarkably intricate creatures, as this photograph of a barnacle’s legs reveals. Neurobiologist Igor Siwanowicz of the Howard Hughes Medical Institute produced the image by removing the animal’s soft tissues and staining the remaining exoskeleton with dyes that bind to a polymer known as chitin. 10 of the World’s Biggest Pets. Here we present you he biggest pets ever. 11 hilarious dog moments captured just at the right time. This Baby Elephant Fought With 14 Fierce Lions And Won! A young elephant become astray from herd and found himself in the most horrible situation one can think of. A large pack of 14 fierce lioness attacked him. Our young elephant, named Hercules fought bravely against the 14 lioness and won. Infact he was able to chase away the lions. He is a real hero. You can watch the video by clicking next button. Zeus, a blind Western Screech Owl is different from other owls. His eyes are like Beautiful night sky with sparkling stars. Zeus was injured and unable to fly after an accident which sadly made him blind.He was found on a porch in Southern California. Some Good people found him and veterinarians checked him and concluded that it is now not possible to free him to wild due to his lost of vision. The 11 Most Unimaginably Large Animals In The World.